Home→Uncategorized→Who Owns Your Mortgage Note? They Don’t Care and Don’t Have To! Who Owns Your Mortgage Note? They Don’t Care and Don’t Have To! Many of those fighting foreclosure have been arguing that no one knows who owns their mortgage note, and they have tried to use this argument as a defense in foreclosure actions. Here in California, the courts have shown this argument no love at all. You owe, you have not paid, end of story. Who owns the mortgage is irrelevant. Unfortunately, in our situation, where we have never missed a mortgage payment, the issue has more complexity. We should be able to contact the note holder and inform them that there was fraud in the origination of the mortgage. So far in our case the court does not care. When we obtained the loan in 2005, it was with Najarian Loans located in Alamo, California. Section 8 of the Mortgage Note provides in part “[u]nless the Note Holder requires a different method, any notice that must be given to the Note Holder under this Note must be given by mailing it by first class mail to the Note Holder at the address stated in Section 3(A) above or at a different address if I am given a notice of that different address.” Section 3(A) lists the address for Najarian Loans in Alamo. The Note was sold by Najarian in 2005 shortly after it was signed to an unknown party, and we were told Countrywide was taking over the servicing. After we filed our lawsuit in February 2012 we learned that the Note might have become part of a securitized trust put together by Lehman Brothers called Structured Adjustable Rate Mortgage Loan Trust Mortgage Pass-Through Certificates, Series 2005-15 (Trust). If the Note was securitized and placed in the Trust, the Trust agreement required that the Note be placed in the Trust no later than June 30, 2005.
Who owns our Note was a bit irrelevant until 2009 when we tried to get refinancing or modification of our mortgage. By this time Bank of America (BAC) had bought out the corrupt floundering carcass of Countrywide and assumed the servicing of our mortgage. Initially, BAC Home Loans Servicing LP, a subsidiary of BAC was the servicer. In 2011 BAC Home Loans Servicing LP was merged back into BAC and they did away with the charade of the separate home loan servicing branch. In July 2009 I phoned and spoke with the Foreclosure Department of BAC and inquired as to possible modification of the Note. BAC told me that the Note was in review and there would be a response in 60 to 90 days. Having not heard back from BAC, on December 9, 2009, I called BAC and spoke with Kevin Mohrman who stated that BAC currently put a value of $184,000 on the Property, while we still owed almost $350,000 on the Note. The following day I again called BAC and the Default Prevention office informed me that the investor on the Note was Aurora MSF Lehman. I was transferred to Jessica Wedell in the Home Retention office who could not, or would not identify the investor on the Note and reiterated that BAC is only the servicer of the Note, not the investor. After much running around BAC refused to work with us because we were so far underwater. BAC did say we could get a refinance if we put enough cash into the deal to bring the loan amount down to 80 percent of their appraised value, which was definitely a low ball appraisal. This meant to get refinanced, we would have needed to bring about $200,000 cash to the deal and be left with roughly a $150,000 mortgage. On May 6, 2010 I spoke with Raymond Rinn in Loan Modification at BAC. Mr. Rinn refused to identify the investor on the Note and said BAC would send a modification proposal. As a part of that conversation Mr. Rinn told me that we should not make a payment on the Note for the month of May 2010, and that the May 2010 payment would be rolled into the modification. On May 14, 2010 BAC sent us a proposed Loan Modification Agreement (Modification), including the addition of the May 2010 mortgage payment to the principal on the Note. We had made the May 2010 payment on the Note prior to receiving the proposed Modification because the payment was due by May 15, 2010. The proposed Modification included the designation of BAC Home Loans Servicing LP as the lender on the Note. The obvious question at this point was how could BAC be the lender on the Modification when they don’t know who owns the Note? Raymond Rinn from BAC called me on June 3, 2010 and stated that the offer on the Modification had only been open until May 23, 2010, but that they would leave it open until June 3 to allow the opportunity to sign it. I asked Mr. Rinn if BAC was the lender, and again he reiterated that BAC was not the lender but would not explain why BAC was listed as the lender on the proposed Modification. No way we were signing that Modification. Part of the response BAC sent to us was a copy of the loan history statement for the Note. The loan history show only one “Investor Payment” since the history was started on May 27, 2005. The single “Investor Payment” occurred on June 30, 2005 when the servicing of the Note was transferred to Countrywide, and the investor on the Note was changed to an unknown entity. We assume the one payment went to either Najarian Loans or Countrywide. This did not explain who had been getting the“Investor Payments” in the following six years. 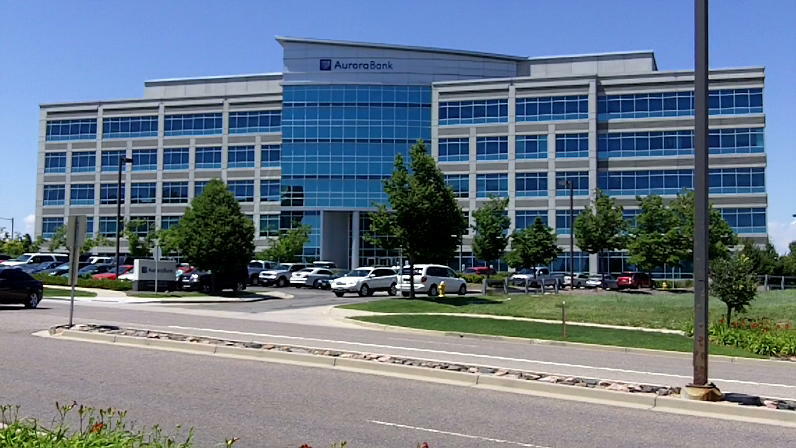 The Customer Service Department of BAC sent a letter dated June 15, 2011 stating that “the owner of this loan is Aurora MSF Lehman, whose address is 10350 Park Meadows Dr., Littleton, CO 80124. Bank of America services the loan on behalf of the owner.” We were vacationing in Colorado the next month, so on July 18, 2011 I drove to the address in Littleton Colorado where BAC claimed Aurora MSF Lehman was located. 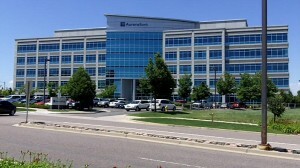 The building holds the offices of Aurora Bank. When I went in and inquired as to the location of the Aurora MSF Lehman offices I was informed they were not at that location and no one there could provide me with the location of the offices. So on July 25, 2011 we faxed a letter to BAC once again asking for the identity of the owner of the Note. 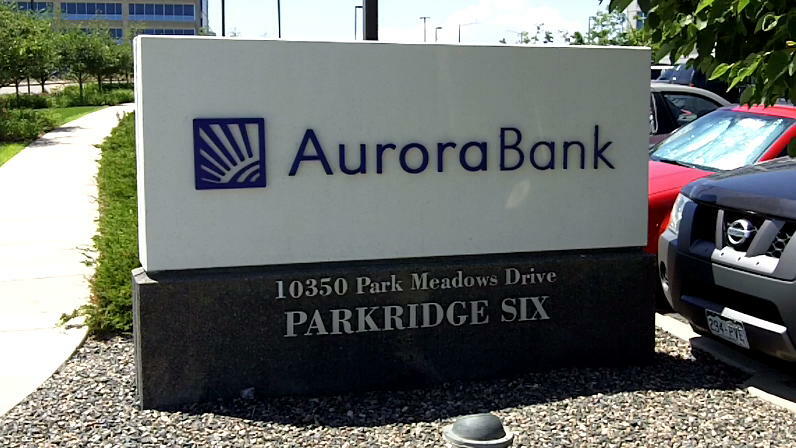 The letter explained that I had visited the offices of Aurora Bank in Littleton, Colorado on July 18, 2011 and that Aurora MSF Lehman was not located at that address. Where is Aurora MSF Lehman? A Statement of Reservation of Name for Aurora MSF Lehman was filed with the Colorado Secretary of State on August 6, 2011and was registered to Melvin Eugene Olsen in Lindon, Utah. BAC sent a letter on August 17, 2011 saying “the owner of this loan is Aurora MSF Lehman, whose address is 10350 Park Meadows Dr. Littleton, CO 80124. Bank of America services the loan on behalf of the owner.” We followed that with another letter on August 30, 2011 again asking BAC for the identity of the owner of the Note. On September 2, 2011 I spoke by telephone with Customer Service representative “Devin” at BAC who again reiterated that Aurora MSF Lehman was the owner of the Note. The infamous Mortgage Electronic Registration System (MERS) has a MERS Servicer Identification System that lets a borrower obtain the identity of their mortgage servicer and the investor on the note. The MERS System information available on September 8, 2011 showed the investor on the Note as Lehman Brothers Holdings, Inc. Subsequently, we accessed the online MERS System seven times up to July 6, 2012, and in each case the MERS system showed Lehman Brothers Holdings, Inc. as the investor on the Note. September 11, 2011 we sent another follow-up letter to BAC again asking BAC “[w]hat is the name, address, and phone number of the bank/note holder/investor/lender” for the mortgage. This letter pointed out that the MERS system showed the investor on the Note as Lehman Brothers Holdings, Inc. I response the Customer Service Department at BAC sent us a letter dated September 20, 2011 declaring that the investor on the Note was Aurora Bank, 10350 Park Meadows Drive, Littleton, CO 80124. On September 27, 2011 the MERS system showed the investor as Lehman Brothers Holdings, Inc. which of course was followed by BAC sending us a letter dated September 29, 2011 advising “that the owner of this loan is Aurora MSF Lehman; a Lehman Brothers Co.” The address for Aurora MSF Lehman is identified as 10350 Park Meadows Drive, Littleton, CO 80124. On March 22, 2012 Wells Fargo Bank filed a demurrer in our case alleging that “Wells Fargo Bank, as trustee on behalf of Structured Adjustable Rate Mortgage Loan Trust Mortgage Pass-Through Certificates, Series 2005-15 (erroneously sued as ‘WELLS FARGO BANK. N.A.’)” is the investor on the Note. Wells Fargo was now claiming they did not own the note, but were only the trustee for the Trust. In July 2012 we sent another letter to BAC asking for the identity of the investor and the July 31, 2012 response identified the Investor as Wells Fargo Bank, N.A., 9062 Old Annapolis Road, Columbia, MD 21045 and a phone number of (443) 367-2897. When we accessed the MERS system shortly after receiving the letter it once again showed the investor on the Note to be Lehman Brothers Holdings, Inc. Finally on September 17, 2012 the MERS system showed the investor on the Note as Wells Fargo as trustee. So after almost three years of trying we still have a disagreement about who owns the Note. Is it Wells Fargo Bank or the Trust? If it is the Trust, BAC has no idea, and it Wells Fargo Bank owns the Note, Wells Fargo does not know it. And if MERS is right that Wells Fargo as trustee is the investor, then the trustee for what trust? The final part of this story comes from the case of Bain v. MERS in the State of Washington, that was heard by the Washington Supreme Court. In the video below, shortly after the 11:00 mark the attorney for Bain explains that after three and a half years they still do not know who owns the note. Following that, around the 22:00 mark the attorney for MERS could not identify the holder of the Note even after being directly asked by one of the justices. In researching the Trust that might be the note holder for our Note I came across this provision in the Prospectus: “Certain documentation with respect to some Mortgage Loans, including in some cases, the related Mortgage Note, Mortgage or title insurance policy, is unavailable. Except as otherwise noted below, the Seller will make only limited representations and warranties with respect to the Mortgage Loans.” This was not the only securitized trust with this language in its prospectus. Come on. This means these trusts were buying assets that were not assets. If you do not have the original mortgage note, you have nothing. Where are the government regulators? In an upcoming post we will explain how BAC could become the lender on the note. As you might expect, it is sleazy. I have a Deed of Full Reconveyance from Bank of America, Homeq servicing, Homeside Lending, Inc., through the chapter 13 court. On January 22, 2002, Trustee Martha Bronitsky’s Final decree resulted in the court ordering a discharge of my mortgage debt, and acknowledged that our loan was paid in full, and a Deed of Reconveyance was duly recorded the same day. I also learned that the Chapter 7 Trustee withheld evidence of my amended tax returns submitted to him were converted into tax refunds turned over to him by the Internal Revenue Service, which he acknowledges belong to me and my spouse. He gave them to Deutsche Bank did Trustee John T.Kendall,without my knowledge or permission,which he since has admitted in a sworn statement to the office of the United States Trustee(DOJ).She had given him until November 21st, 2016 to respond to my demand for full disclosure and to respond to the Release of Lien I just got from Bank of Aamerica and the Deed (Title) that came with it on November 4, 2016. So far, they’re stalling, and are not responding as yet. I will update the situation on my website at http: tammyharper55.wixsite.com/website. Read my articles showing how I am successfully dealing with my foreclosure on my website listed below. How I managed to get a Release of Lien and Evidence of title from five companies. Fortress Investment Group, Nationstar Mortgage, the City of Oakland, and Alameda County; What Could Go Wrong? Everything! Nationstar Mortgage Cost us $89,000 and a HAMP Mod! Marie on Fortress Investment Group, Nationstar Mortgage, the City of Oakland, and Alameda County; What Could Go Wrong? Everything! Ashkan Kord on Nationstar Mortgage Cost us $89,000 and a HAMP Mod!